Glasgow, with the Group 1 superstructure. Pom-pom AA is mounted on top of the hangar. Sheffield in 1942, with extensive light AA armament and AA directors added. The "Town" Class cruisers were built in response to the Japanese "Mogami" Class (initially armed with 15 x 6.1" guns) and the American "Brooklyn" Class (15 x 6"). A smaller armament of 12 x 6" guns was accepted, partly because of the ever-present need to produce numbers of ships, which necessitated a reduction in size, and partly because more guns than this were considered unnecessary. 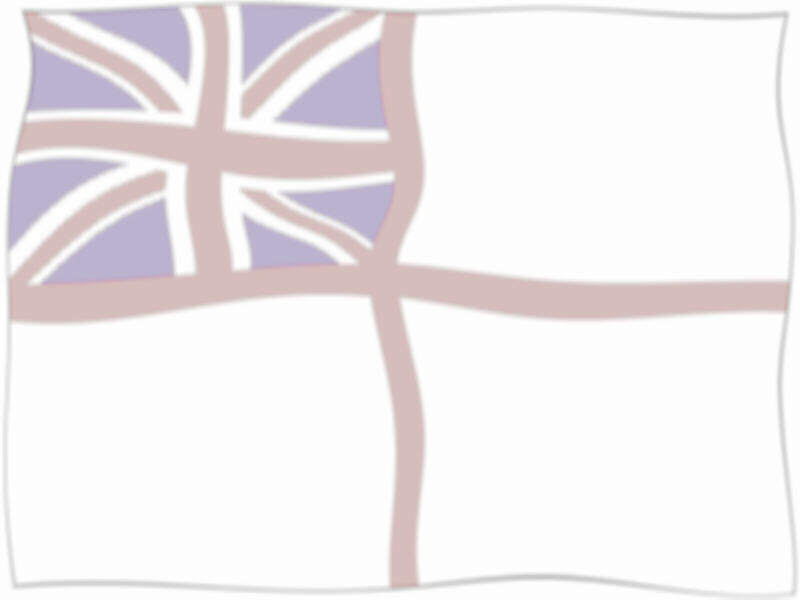 They were the first British cruisers to be designed with integral aircraft hangars (one being built into the forward superstructure either side of the forefunnel) and a fixed, cross-deck catapult. The main armament was mounted in the new Mk.XXII turret, the guns having a designed rate of fire of 12rpm. In practice the rate of fire was about half this figure, but it still gave the ships the capacity to smother a target with about 70 6" shells a minute. 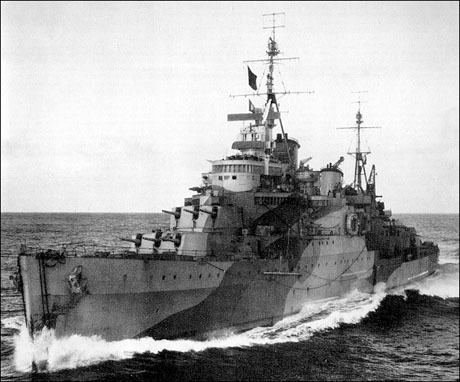 Sheffield was one of the first British ships to be fitted with a surface-search radar, which she put to good use in shadowing the German battleship Bismarck. The ships served in all theatres of WW2, but despite the amount of action they saw only one - Southampton - was lost. In 1944 the other four ships had X-turret and all aircraft equipment removed to reduce topweight and allow for the fitting of additional close-range weapons. 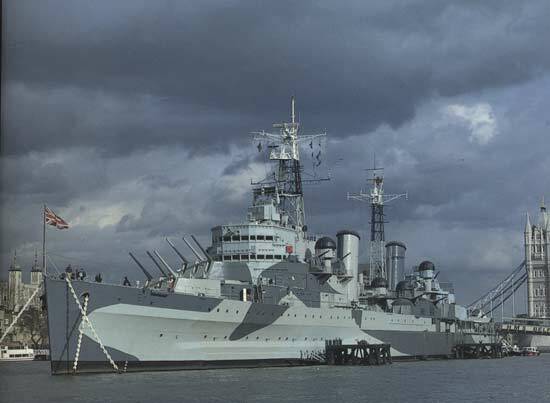 Birmingham and Newcastle were extensively modernised in 1950-52, bring given a new rounded bridge, lattice foremast, improved radar and fire-control systems, and a uniform close-range armament of 40mm guns. Sheffield was similarly modernised in 1956-57.
paid off 1959; broken up at Inverkeithing 1960.
paid off into reserve at Portsmouth 1956; broken up at Blyth 1958.
broken up at Faslane 1959.
broken up at Faslane 1967.
abandoned the next day and sunk by torpedoes from Gloucester and Orion. 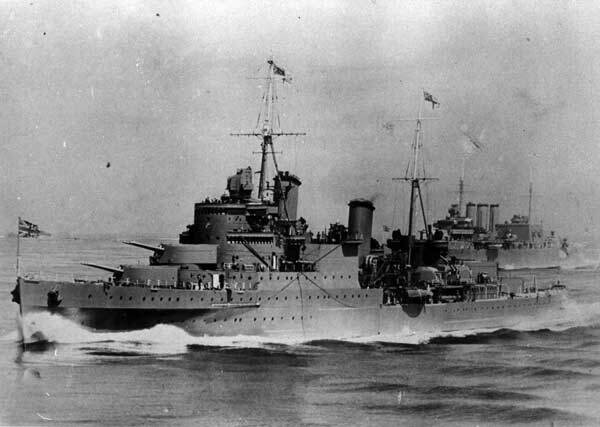 These three ships were modifications of the original Southampton design, with improved fire-control equipment which included a second main-armament director aft. They had a new, streamlined bridge front, and being 300 tons heavier than the first group, were 8" wider and required more powerful machinery to attain the required 32 knots. 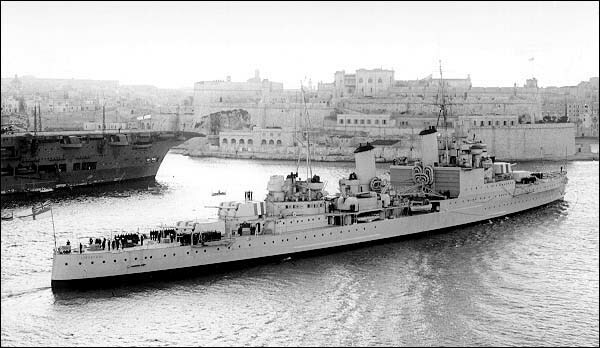 Mediterranean 1942 - torpedoed in forward engine-room while escorting Malta convoy 14 Jun. arrived at Bo’ness 2 Jul. 1958 to be broken up. abandoned and sunk by scuttling charges. Belfast C35 3 August 1939 Harland & Wolff Reserve 1952-56. Refitted 1956-59. Paid off 1971 to museum ship. These ships were further modifications of the Southampton design, and were originally intended to have four quadruple 6" turrets. However, trails with the prototype quadruple mount were not successful, and it was decided to revert to the triple mount of the earlier ships. They also had an additional pair of twin 4" HA/LA guns, and the magazines for the 4" guns were moved from abaft the machinery to forward of it. This in turn meant moving the machinery aft, resulting in a large gap between the forward superstructure and the forefunnel, giving the ships a distinctive silhouette. The after 6" turrets were also mounted one deck higher than in the "Southamptons". They were quite startling to look at, with low, sweeping hulls, sharply raked funnels and masts placed well back and a general look of having everything shoved back of the superstructure. Belfast was very nearly lost in the third month of the war when she struck a mine in the Firth of Forth. The resulting damage was extensive - the keel was broken, the hull distorted and strained, the machinery severely shock-damaged and the centre section of the ship flooded. Had it been later in the war she would probably have been written off as a total loss, but as it was she underwent repairs that lasted until October 1942. In late 1944 Belfast had two of her twin 4" guns and all her aircraft equipment removed prior to her deployment to the Pacific. From 1956 to 1959 Belfast underwent a major modernisation, during which she was given a new bridge, lattice masts, a new uniform close-range armament of 40mm guns and improved electronics, and her torpedo tubes were removed. Since 1971 she has been preserved as a museum ship in the Pool of London. sunk by torpedo from destroyer Foresight.